Update, April 6 2017 : Since writing this post, several comments have been triggered on Stryd's Facebook community. In Part 3 of this series, I had conducted an experiment with the Stryd to understand what had a bigger effect on LSS - running cadence or ground contact time (GCT). While high step frequency is related to high LSS, I found that lesser GCT's have a stronger correlation with high LSS than was higher cadence. I also found that at a fixed step rate, there existed a monotonic positive relationship between speed and LSS. Since then, I've analyzed much more data and plugged them into my own spreadsheet models. I'm fairly certain to have cracked the math behind LSS, i.e knowing what parameters affect LSS. However, before I put my entire weight in the LSS train, it was important for me to answer one question. Does shoe type and where you mount the Stryd footpod affect the reported values? This a fundamental topic not only with the Stryd but any consumer device that measures athletic performance. The reason it's fundamental is that when you track your own changes longitudinally over the course of a season or several seasons, you need to be sure that the % change in your own performance is greater than the noise introduced by the device you're using to measure with. If instead, the noise is greater than the % change, any change you say you made through training is unclear or baseless scientifically. Discovering what is the "noise" in the Stryd LSS data is the subject of the post. Results are organized into two sections - 1) with the Stryd correctly oriented with the pointed edge facing down, and 2) an earlier test with the Stryd oriented in the upward direction. In each of these orientations, 2D position (X,Y) of the footpod was varied on the laces. I also tested with 3-4 different brands of shoes at two different running speeds. Readers will find the results in section one with the Stryd in the correct orientation useful, as it is the recommended installation position. However, it will also be interesting to see what happens when the footpod is oriented in the wrong direction. Actionable intelligence is highlighted in blue. Attached below is a table of run data I have consolidated spanning 2 months. I've also included body weight and landing style as best as I recall. Fig 1 : Collection of some run data from Jan 24-March 31,2017. Click to zoom. Some runs didn't make sense in the context of a "few parameters". A low GCT 800m track race run on clay track in Asics spikes yielded lower LSS (9.8kN/m) than during a slow jog on a tiled footpath in the Under Armor Bandit 2 (10.8 kN/m). Meanwhile, a 2:53 interval run done in Nike Lunarlon Lunarglides on a purpose built concrete bike path showed high LSS (12 kN/m) but a similar GCT interval done in Mizuno's at faster pace was 0.5 kN/m lower. More recently, a high speed VO2 max test done in a test lab with Mizuno's at somewhat lower power output than the track race also showed high LSS (10.6 kN/m). Puzzling that the slow jog in the Under Armor shoes displayed a slightly great amount of LSS for a GCT that was 50% higher than that in the VO2 test. The complete list of LSS values are within -6% / +16% of the mean value of LSS in the table. One question to answer would be whether this much spread in the reported LSS is normal in the context of wearing different kinds of shoes. In that respect, it would also be interesting to study how different shoes and footpod mounting positions affect the reported LSS. 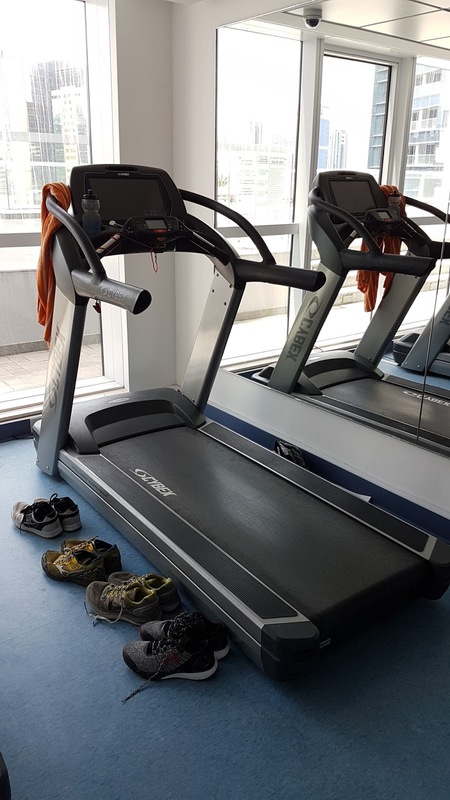 Fig 2 : Experimental equipment included 4 shoes, a Stryd and a Cybex 770 Treadmill which has it's own display of power. Step 1. Round up 4 running shoes/sneakers from my collection (all I have). Label them A-D. Some basic characteristics about these shoes are shown below. Because I do not own a low drop shoe, the best I could find was a pair of Fox Motion sneakers from 2011/2012 which had a drop of 8mm. Fig 3 : Description of shoes used in the experiment. Step 2. Choose 2 treadmill belt speeds to carry out test. Speed 1 = 10kph. Speed 2 = 12kph. Speed 1 would be run for 5 minutes and Speed 2 would be run for 3 minutes preserving a basic duration vs intensity relationship. Step 3. Choose two mounting positions for the Stryd footpod. Position in 2D space was defined as the X-Y distance of the footpod on the shoe. X distance was measured from medial malleolus of the tibia-foot interface to the center of footpod. Y distance was measured from the floor up to center of footpod. Fig 4 : Definition of X and Y footpod mounting positions. Fig 5 : Data table of X-Y positions of footpod. Click to zoom. Step 4. Randomly assign the shoe A-D to run the test in. Within each shoe selected, randomly assign running speed with mounting position 1. The experiment table below will speak for itself. Note that in the interest of time, all shoes were tested twice to check repeatability except for shoe D. All shoes were tested atleast once with mounting position 2. All shoes were tested a total of 5 times each, except for shoe D. 18 tests were conducted in all, spanning more than 2.5 hours. Fig 6 : Protocol for randomized testing. Click to zoom. Step 5. "As far as possible", all run tests for a specific speed would be carried out at similar cadence and the same running style. This was done to control step rate. Note that I did not use a metronome which would have been a better way to control step rate. I accept that there would be some variation in step rate. Step 6. All tests would be conducted using the Styrd App on treadmill mode. Treadmill would be set to 1% incline to mimic the stress of running outdoors. Step 7. Collect data into post processors for analysis. In this test, I used only shoes A, B and C due to lack of time. I controlled cadence using a metronome tone set to 90 cadence (180 steps per minute). Results table is shown in Fig.7. Fig 7 & 8 : Results table for controlled cadence tests using 3 shoes and 2 footpod mounting heights with the Stryd installed in the recommended orientation. Cadence was controlled in this test using a metronome tone set to 90 cadence. Conclusion : LSS registered increased values at increased mounting height regardless of shoe or running speed. Variation appears to decrease with speed, although this test is limited to two speeds. If the Stryd can show this much variation just from moving it's position higher on the shoe, I think it is best I control this position on a given shoe for my training going forward. However, when changing shoes, I understand that the absolute position from center of pod to the ground can still change due to the different exterior designs among shoes. This also means comparing my LSS longitudinally across a season to track improvements is a bit troublesome until I know that the pod had more or less the same ground height when installed on the shoe I chose to wear. I'm happy to hear about the discoveries with your own device if variations are any different. A 3 minute test conducted at 10kph belt before the 18 tests showed that freely chosen step rate = 178 spm. The step rate objective was to try as far as possible to stick with one cadence for a specific speed, without frying myself at cadences I'm not used to. The full results table is shown below and sorted by shoe tested and then by ascending order of speed and ascending order of GCT. This makes repeatability and mounting position comparisons easy. Click to zoom in. Fig 9 : Results table sorted by shoe type and ascending order of speed and GCT. Click to zoom. Eyeballing the data, within each subset of shoe tests, the highest LSS value reported by Stryd was for mounting position 2. It would then seem that the position of the device somehow influences LSS. However, if the data is organized in ascending order of GCT, the high values of LSS correspond to the lowest GCT values. In other words, lesser the time spent with feet on ground, higher LSS. It is possible that the combination of shoe type and the GCT is manifested in the difference in LSS values. Fig 10 : % Change in LSS from footpod mounting positions 1 and 2 at a given running speed. Click to zoom. 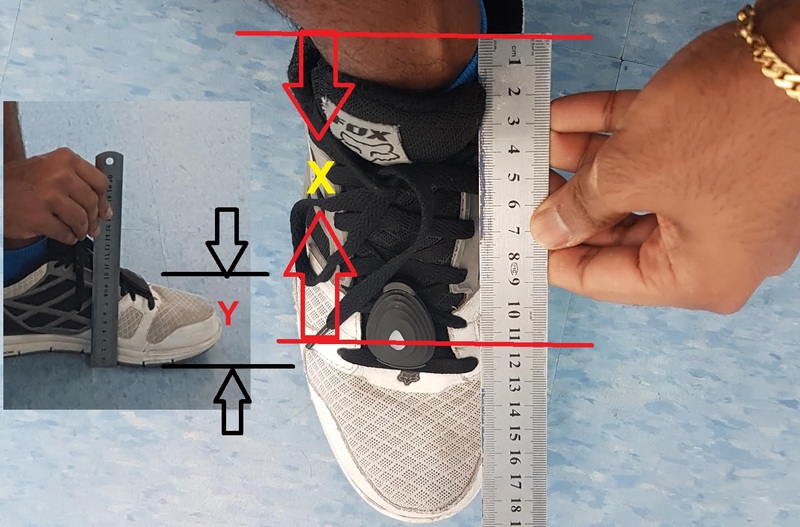 With tests conducted on shoes A and B, variation in Stryd reported SPM was less than +/- 2.5% while in shoes C and D, SPM was limited to +/- 1%. Variation in reported GCT in mounting position 2 relative to mounting position 1 were less than 5% in all 4 shoes. Variation in corresponding LSS were all within +10%. With shoes C and D, the change in LSS is the same as in shoes A and B even though cadence was extremely close. Therefore, whether it is the mounting position itself that is influencing GCT and LSS is not clear from the data above. It appears something else is influencing the modeled LSS. The results table is organized based on speed to help in shoe comparison. Fig 11 : Results table sorted by speed. Click to zoom. Eyeballing the data table, there doesn't seem to be any appreciable effect from shoe, except for line items where the footpod was mounted higher. This is my first hypothesis. Digging further, I was interested to find a couple of things. First, what is the standard deviation of Stryd reported speed, SPM, GCT and LSS sorted by treadmill belt speed with different mounting positions included in data? Results are tabulated below. Fig 12 : Standard deviation of pace, SPM, GCT and LSS at 10 and 12kph belt speed between 4 different shoes. Click to zoom. Second, what is the standard deviation of Stryd reported speed, SPM, GCT and LSS sorted by treadmill belt speed at a fixed mounting position? For this, I had to remove the data for mounting position 2 so that all shoes were compared on mounting position 1 (closer to ground). 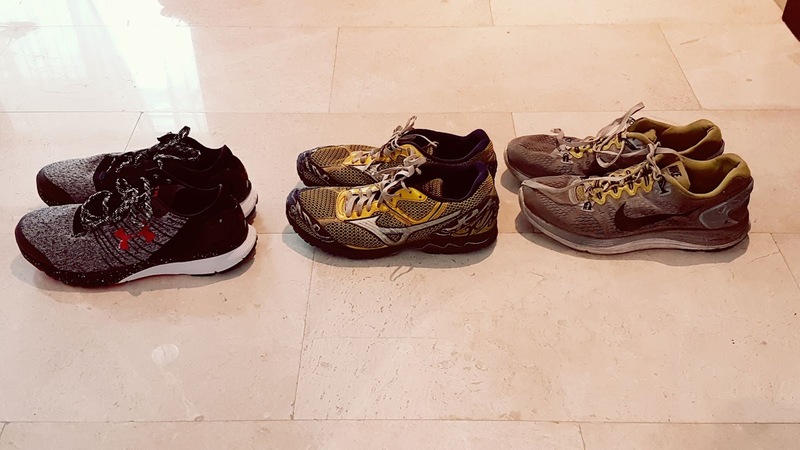 Fig 13 : Standard deviation of pace, SPM, GCT and LSS at 10 and 12kph belt speed between 4 different shoes for a given mounting height. Click to zoom. Comparing both the tables in Figs 10 and 11, the standard deviation in reported LSS gets small at a given mounting position. Infact, it is not entirely true that the X-Y distance at mounting position 1 for all shoes are the same, so it is possible the absolute mounting position has a finite influence here. The right way to conduct this experiment would have been to fix the absolute mounting position for all shoes, but I doubt this is really possible since different shoes have different exterior structural design. Because the data indicates it is possible that shoes can have an influence on the reported LSS values, it is necessary to express the uncertainty in GCT and LSS. Fig 14 : 95% confidence intervals calculated for GCT and LSS at 10 and 12 kph belt speeds. Click to zoom. GCT falls between 256.1 +/- 3 ms (95% confidence). LSS falls between 10.47 +/- 0.248 kN/m (95% confidence). Power falls between 196.7 +/- 1W (95% confidence). GCT falls between 229.7 +/- 2 ms (95% confidence). LSS falls between 10.46 +/- 0.317 kN/m (95% confidence). Power falls between 233.5 +/- 1.8W (95% confidence). The influence of shoe type on GCT, LSS and power is finite (but small) within the context of mounting positions and shoes tested by me. The other finding is that as speed increases, the influence of shoe type and mounting position increases, which widens the 95% confidence interval on GCT, LSS and Power. At both speeds, the effect of my shoes and mounting positions are extremely small on power. The above investigations ignore interaction effects of shoe and mounting positions with other parameters like step rate and GCT for example. The two mounting positions I arbitrarily labelled 1 and 2 have different absolute X-Y values. Even though differences are small, there is a difference. Therefore, I thought it would be best to express the position of the footpod as a mounting height Y and ignore the X position which is assumed to have no bearing in what the footpod measures. To get an understanding of relative effects of key inputs on LSS, I assumed there are 4 independant factors within the experiment that would affect LSS either by themselves or through interaction effects. I did not consider speed as independant as I figured speed would be a manifestation of step rate and GCT. Fig 13 : Pareto chart of standalone + interaction effects on LSS organized by importance. Only GCT, Shoe+GCT and Shoe+GCT+Mounting Height (Y) play a significant role at α = 0.05. Click to zoom. Fig 14 : Normal plot of standardized effects. Significant factors like GCT, Shoe+GCT and Shoe+GCT+Mounting Height (Y) are negatively correlated to LSS. Click to zoom. The interaction study might be proof of the earlier assessment that as standalone factors, shoe and footpod mounting height haved played no significant role in the reported LSS in the experiment. However, the combination of shoe type, mounting height and GCT seem to be influencing LSS more significantly than other factors. One disadvantage of this study is that I do not include the leg attack angle as a parameter. Infact, from a model I have developed, I know that leg attack angles influences LSS a great deal! It could be that while mounted on different shoes, the landing angle the accelerometer thinks in is different. Shoe type and mounting height, in so far as this set of data is concerned, have negligible effect on reported power for the two speeds considered. 1) GCT is a predominant factor in the LSS model, even more so than step rate (pareto chart Fig 13). 2) GCT and LSS are negatively correlated. Lower GCT equates to higher LSS. If building LSS is considered "free speed", then focusing on injury limiting biomechanics that yield lower GCT appears fruitful. I also understand that any exercise intervention to improve my own LSS should bring out positive LSS changes (post intervention) greater than the maximum uncertainty range I have indicated here, which is 3%. This is done so that I can safely consider the changes in LSS are not just from day to day running variations in GCT and higher order shoe and footpod influences. My interpretations are open to discussion. In the next post, I'll be taking Stryd to the mountains. Stay tuned! you saved my day. I was also trying to make sense out of my LSS values. I realised I had best times whenever LSS was above my usual range but couldn't figure out why it happend. My theory LSS also incorporates a ground impact force (or negative acceleration). I can see in my data most intervals end with a LSS spike up to 25kN/m . This is when I come to a stand using heel strike and leaning back. To generate such a high LSS I was considering changing running style to mid foot but your analysis shows no indication that it would work. I think it's best to ignore LSS for the moment and focus on GCT when trying to improve performance.